A lot has changed since 1979 - from advances in technology to pop culture trends. 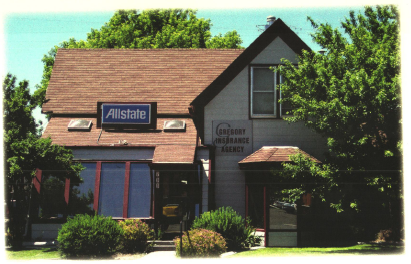 For residents and businesses in Elko, Nevada, however, the Gregory Insurance Agency has remained a constant. We have operated in the Elko County area for nearly four decades. Our agents are prideful of the longstanding relationships they’ve developed with their Nevada neighbors, and look forward to continuing this tradition for decades to come. Insurance coverage shouldn’t be built in a one-size-fits-all manner. Instead, an accurate policy is a product of personalized service. As a locally owned and operated agency, we have the ability to work closely with each client we serve. We’ll start our process with an in-depth meeting to properly identify needs. Once a coverage route is solidified, agents will pursue coverage from a collection of carriers, such as Allstate, Travelers Insurance, Progressive, Nationwide Insurance, and American Modern Insurance Group. This flexibility to pair your customized needs with the most fitting carrier is a reflection of our status as an independent agency. We’re tied to our clients, not a particular carrier. Auto and homeowners insurance coverage serves as the foundation of our personal insurance program. Like you, our agents live and work in Elko and surrounding communities. We drive around the same turns and reside in the same neighborhoods. This gives us an advantage when supplying protection for your home and car. Coverage can also be bundled into a multiline policy for additional premium savings. Aside from standard coverages, we can also produce policies based on your interests. For adventure seekers, recreational vehicle coverage or boat insurance may be a necessity. For individuals who rent property, we can write encompassing renters insurance policies. Our business insurance program institutes solutions tailored for Nevada businesses. A complete selection of commercial packages are available, including workers compensation, commercial general liability, business owners policies (BOP), and bonds. For more information on the innovative insurance products we produce, contact our agency today. Everyone who works in our office is licensed and has the ability to call claims in for clients. Therefore, when you call during business hours, your needs can be efficiently addressed. We’re also welcoming, so feel free to stop by and talk insurance whenever you have a chance! One of our agency’s owners, Leah Gregory, is the first person you’ll encounter upon visiting the agency. This tradition hasn’t changed since we opened shop in 1979. Accessibility is a challenge for some agencies. For us, however, it’s a strength. When questions arise, we’re all available with the answer, even an agency owner. Along with insurance services, we’re also involved with community organizations. We support a variety of youth sports programs in Elko, as well as the local rodeo. As an agency, we’re members of the Elko Chamber of Commerce. If you’re interested in partnering with us, feel free to request a quote.